UPDATED: March 29, 2018. Corrected delegate and state qualifiers list, adding vocal performance category. (COVINGTON, La.) In years past, St. Paul’s regularly distinguishes itself in the district literary rally, competing and winning in subjects from chemistry to calculus. This year is no exception. On Feb. 24, 62 total delegates from St. Paul’s made the drive to Southeastern Louisiana University to take part in the annual competition. Once the event had concluded, 18 of those delegates qualified for the state competition, and seven received scholarships from SELU. 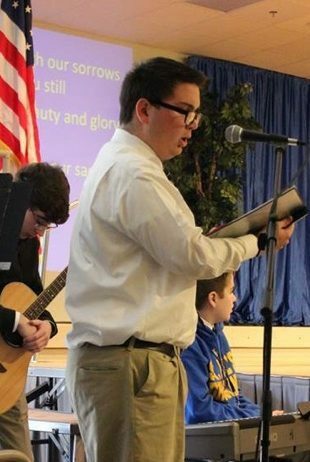 Another SPS delegate, junior Andrew Aceves, competed in the vocal performance category at the Louisiana Music Educators Association (LMEA) Solo & Ensemble Festival on Feb. 8, which acts as the district rally for voice. For the third consecutive year, Aceves qualified for the state rally in Boys Vocal Solo Low Voice, bringing the total of SPS state qualifiers to 19. Thus, 30% of SPS’s district delegates qualified state this year compared to 33% in 2017, 27% in 2016, and 70% in 2015. Respectively, SPS sent 58 delegates in 2017, 62 delegates in 2016, and 27 delegates in 2015. Moreover, SPS sent delegates to take tests in 33 different academic subjects, more than any delegation in recent years. This year also marks a milestone for senior Patrick Baldone. 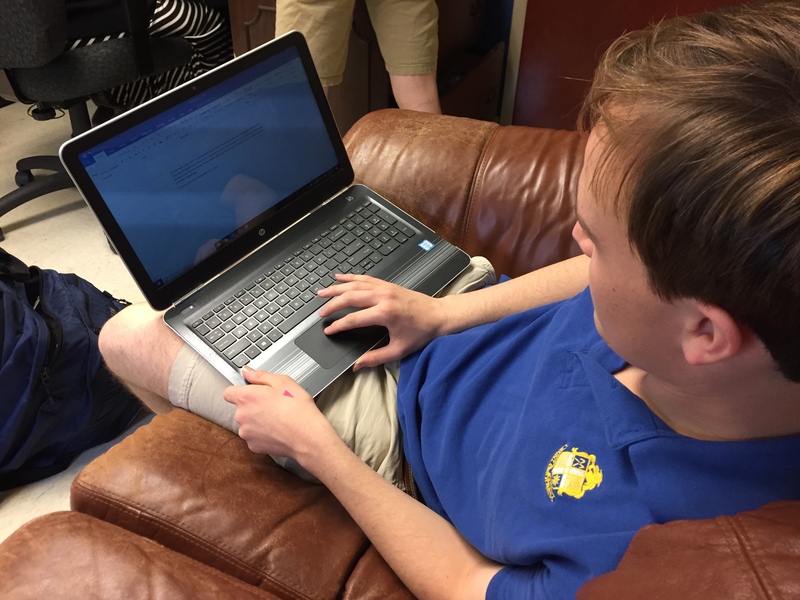 For his fourth year, Baldone has qualified for the state rally after placing first in the district rally, this year in the subject of Calculus. The district rally stipulates that students may not compete in the same academic subject more than once. Ergo, this distinguished senior has won the district rally four times in four different subjects. On another note, senior Forge Mathes placed first in Journalism I, qualifying him for state. This means that students representing the St. Paul’s Journalism I class have qualified for state for six consecutive years. “I’ve been blessed with talented students who are passionate about current events, journalism, and writing in general,” journalism teacher and advisor for The Paper Wolf Christi Simoneaux said. 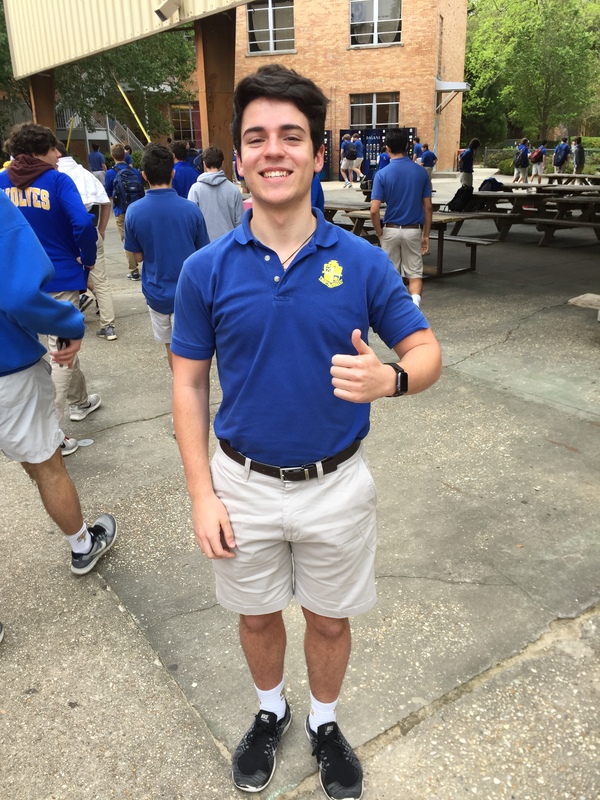 Other students advancing to the state competition on April 21 at Louisiana State University include Randall Hanrahan for Accounting I, Jackson Gold for Advanced Math I, Jonathan Bertucci for Advanced Math II, James Bradford for Algebra II, Matthew Algero for American History, Benjamin Klein for Biology I, Josh Devier for Biology II, Michael Philippe for Chemistry, David Needles for Computer Science, Jake Holincheck for English I, Andrew Lacoste for English II, Hyde Healy for English III, Brady Talley for Geometry, Matthew Borgatti for Physics, Grant Harrison for Principles of Business, and Donald Garvey for Spanish II. For a complete list of district Literary Rally results from the SELU competition, click here.